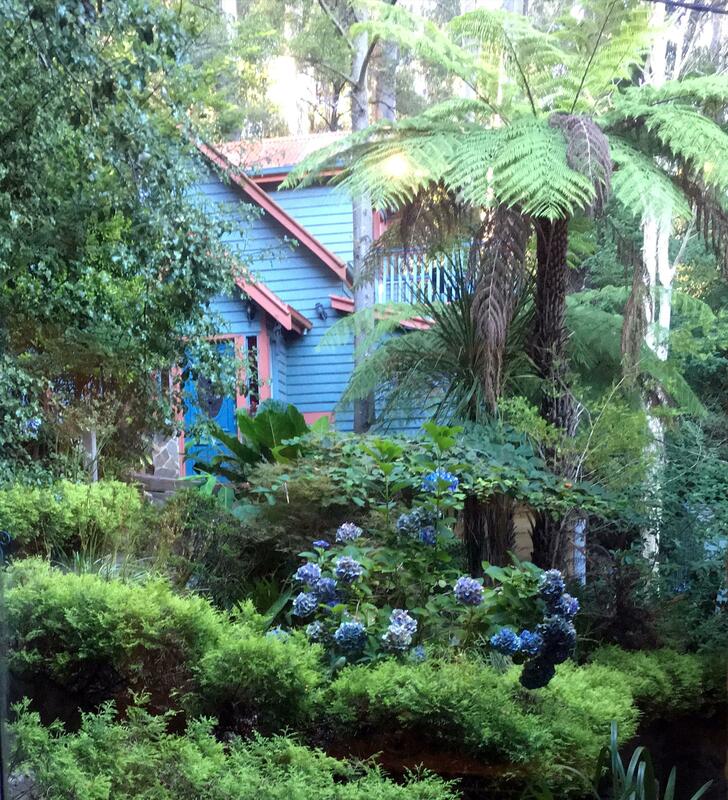 Set among towering mountain ash and tree ferns, Wild Orchid Olinda is a stand alone, luxurious, Private Self-Contained Cottage. The perfect place to get away from it all, have some time out, retreat into nature - recharge and relax. 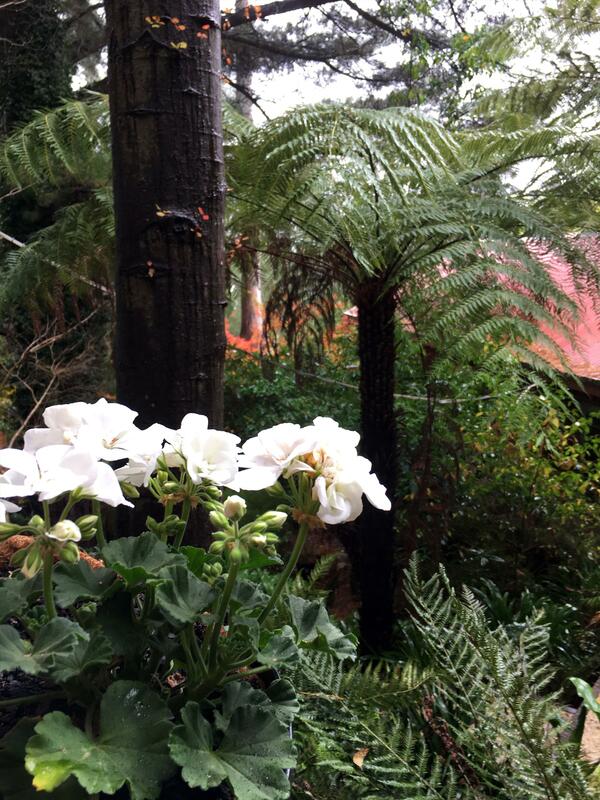 From the moment you step onto the property you will be drawn into the magic of the garden and surrounding forest. Enter your private cottage with enchanting storybook style exterior and modern, elegant interior. 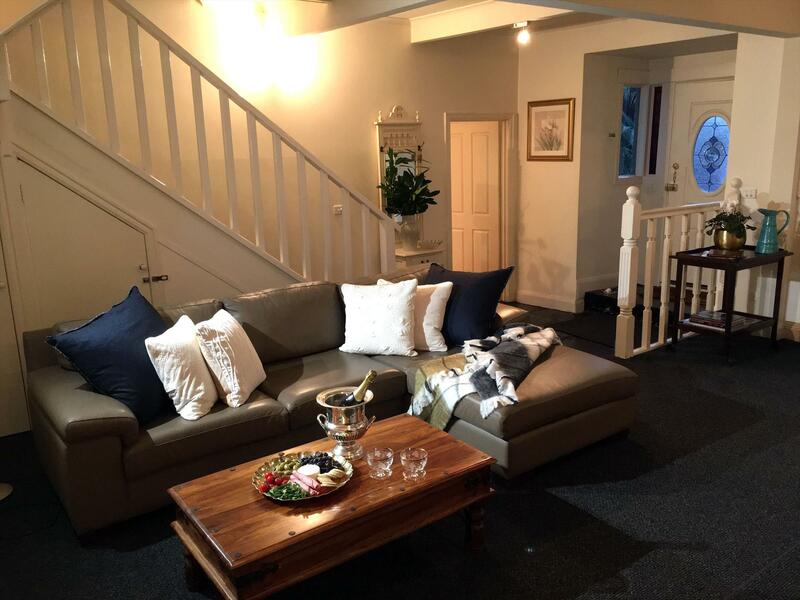 The living area has a large sofa to sink into by the cosy log fire, where you can curl up to watch a movie, listen to music, read a book or just BE. 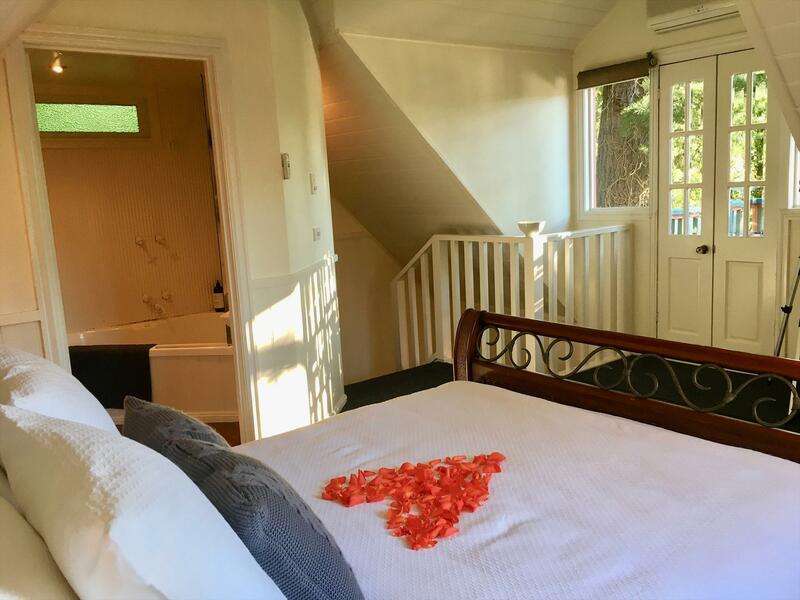 Upstairs the romantic bedroom has a queen sleigh bed, electric blanket, beautiful natural bed linen and private balcony from which you can enjoy tree top views with glimpses of Melbourne city, glorious sunsets, and star gaze at night through the telescope. 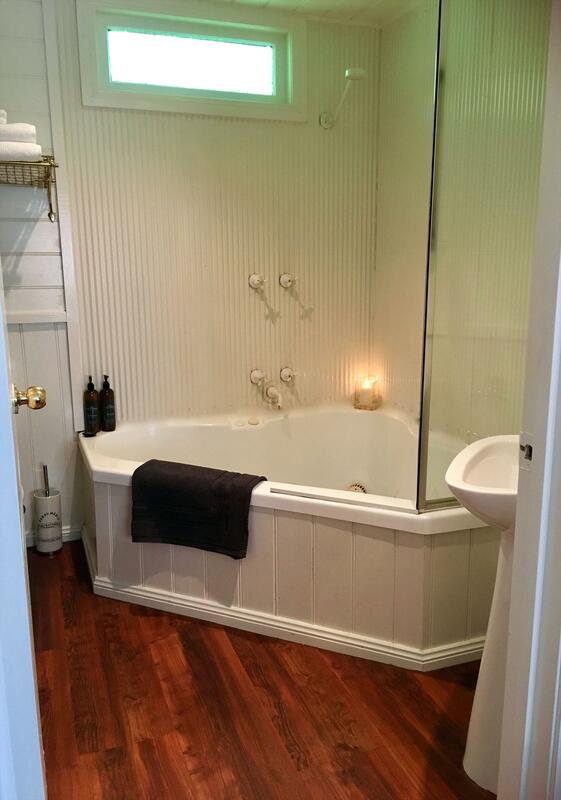 The adjoining bathroom has a double corner spa bath, complimentary natural body care, fluffy robes & towels. Perfect for a romantic weekend away, an ideal business retreat for busy professionals and creatives needing time out to get that project done without interruptions. 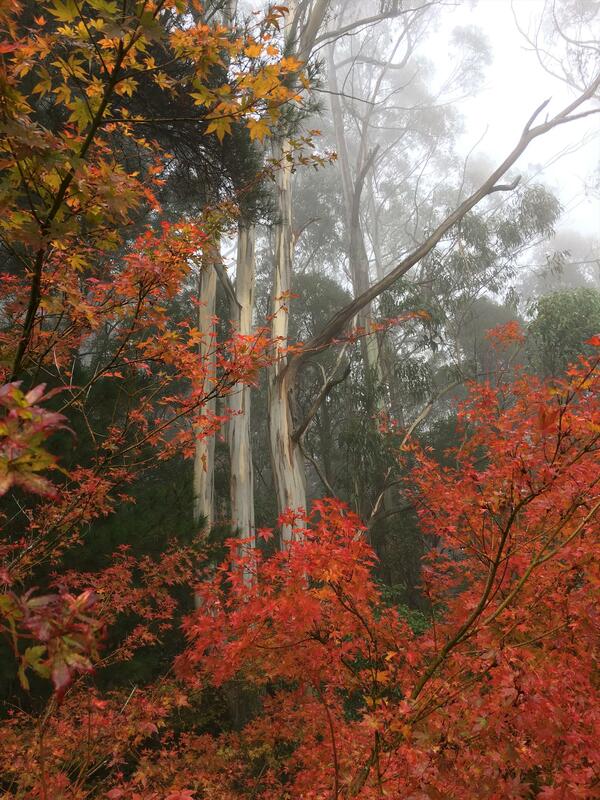 It's also a fabulous base to discover the surrounding Dandenong Ranges and Yarra Valley from. 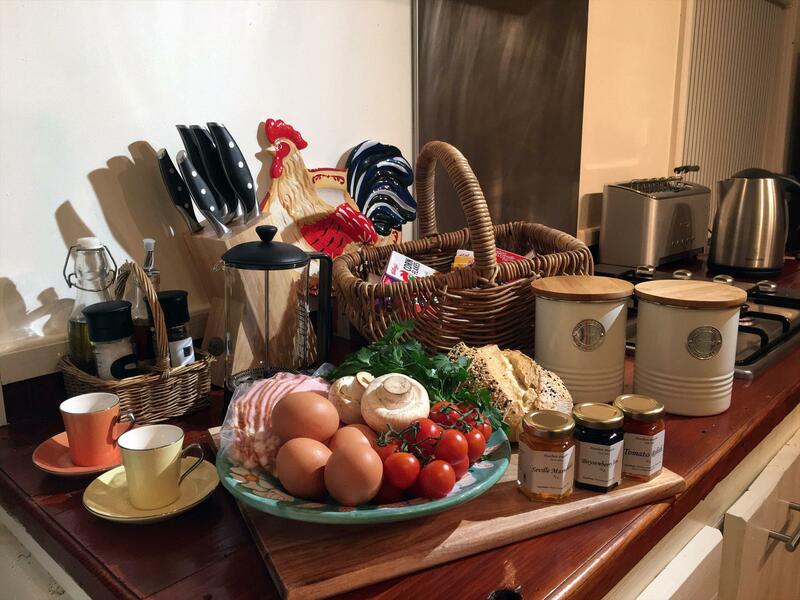 Generous Breakfast hamper included in price comprising of local produce including freshly baked bread, free-range eggs & bacon, fresh herbs, locally made preserves, good Coffee and a fine selection of Teas. 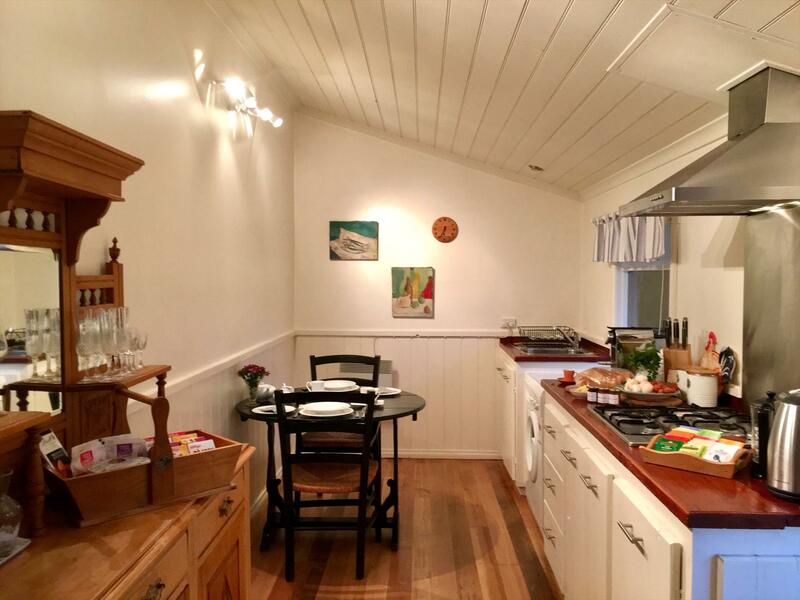 You will love the cosy country kitchen which is fully equipped, everything you need including a washing machine and dryer so you can stay for a few days, a week or a month. 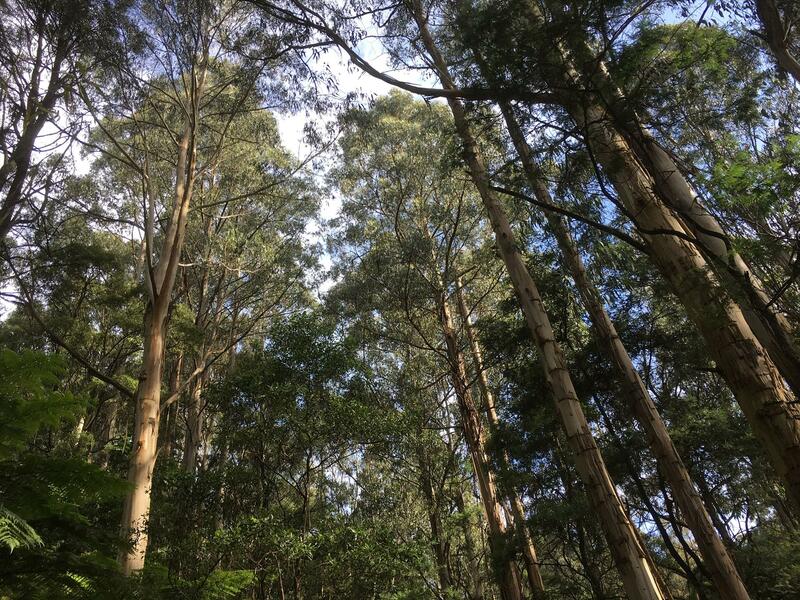 The cottage is ideally located just minutes walking distance between the beautiful villages of Olinda and Mt Dandenong so you are close to everything, but away from it all. The village has fabulous boutique shops, cafes, restaurants, antiques, a Saturday produce market and much more. Or you can simply enjoy the natural surroundings of the state forest. 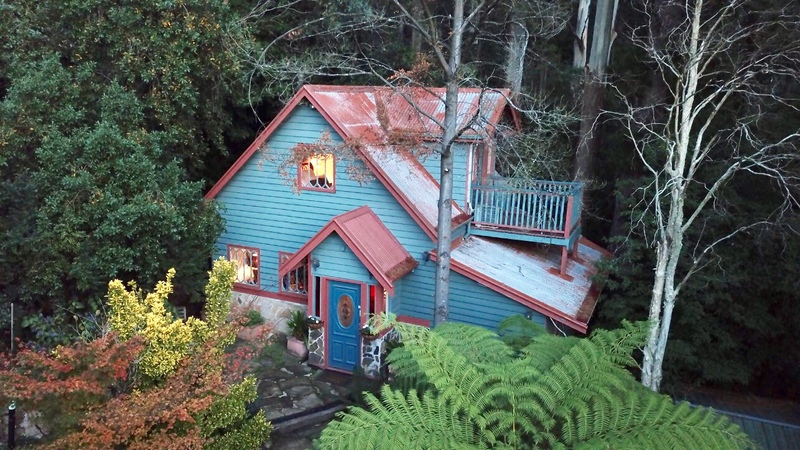 Set among towering mountain ash and tree ferns, Wild Orchid Olinda is a Luxury Private self-contained cottage in the Dandenong Ranges Victoria, Australia. 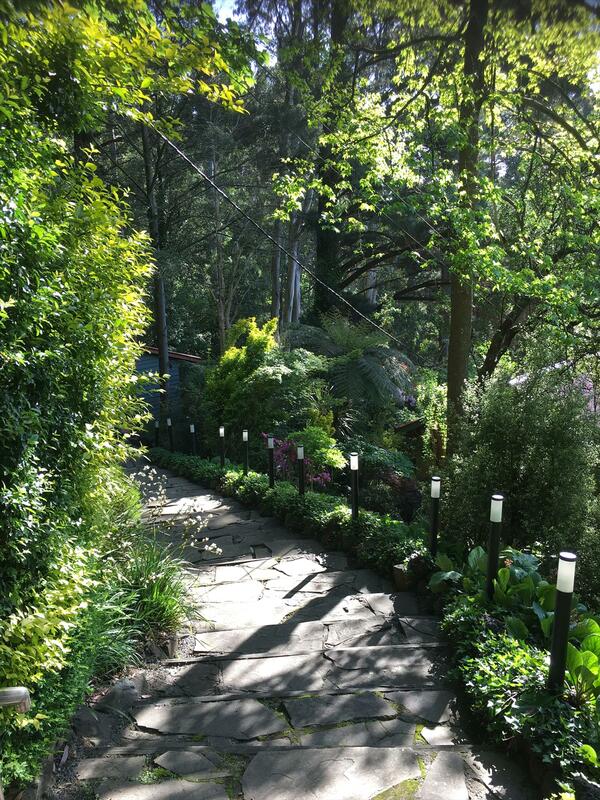 The perfect place to get away from it all, have some time out, retreat into nature - recharge and relax, from the moment you step onto the property you will be drawn into the magic of the garden and surrounding forest. Enter your private cottage with enchanting story book style exterior and modern, elegant interior. The living area has a large sofa to sink into by the cosy log fire, where you can curl up to watch a movie, listen to music, read a book or just to BE. 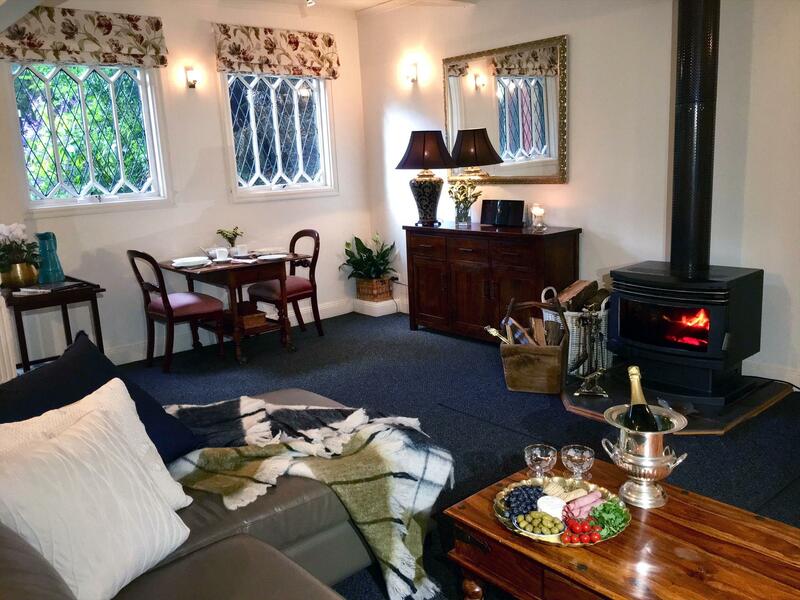 Adjoining is the cosy country kitchen which is fully equipped, everything you need including a washing machine and dryer so you can stay for a few days, a week or a month. 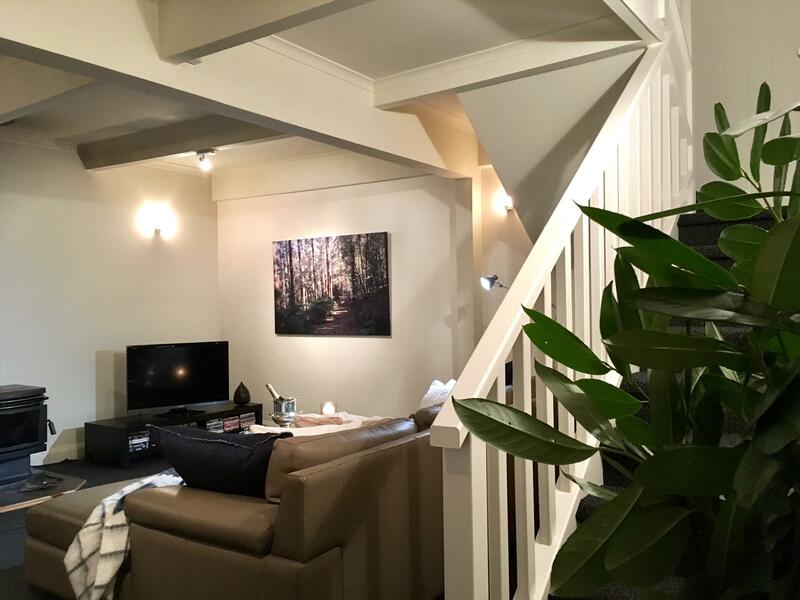 Upstairs the romantic bedroom has a queen size bed, electric blanket, beautiful bamboo and cotton sheets and private balcony from which you can enjoy tree top views with glimpses of Melbourne city, glorious sunsets and star gaze at night through the telescope. The adjoining bathroom has a spa bath, fluffy robes and towels. 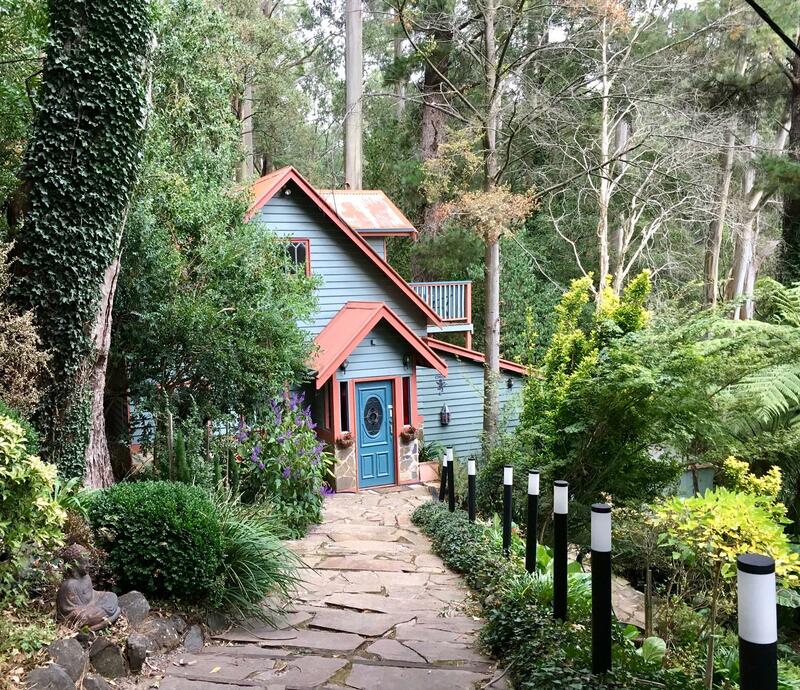 Perfect for a romantic weekend away, an ideal business Retreat for busy professionals and creatives needing time out to get that project done without interruptions and a fabulous base to discover the surrounding Dandenong Ranges and Yarra Valley from. 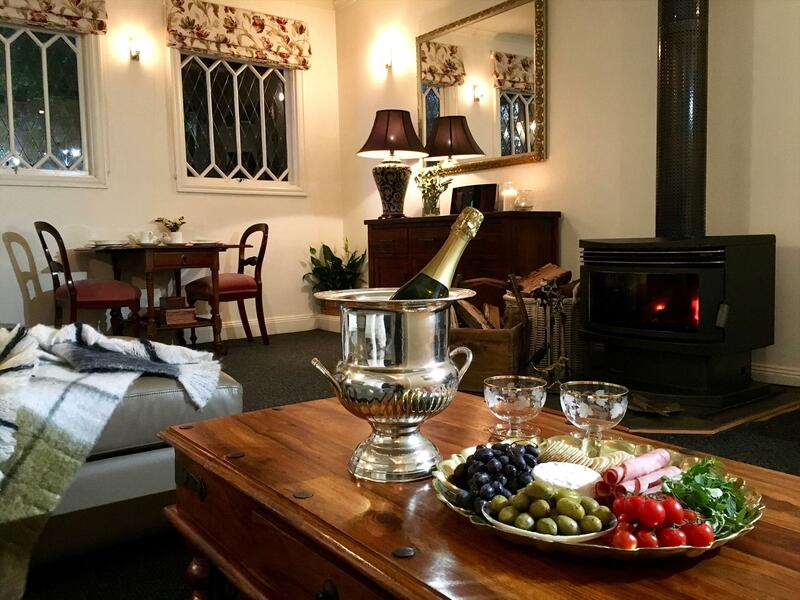 Situated in the Heart of the Dandenong Ranges the cottage is ideally located between the beautiful villages of Olinda and Mt Dandenong so you are close to everything, but away from it all. The village has fabulous boutique shops, cafes, restaurants, antiques, a Saturday produce market and much more. 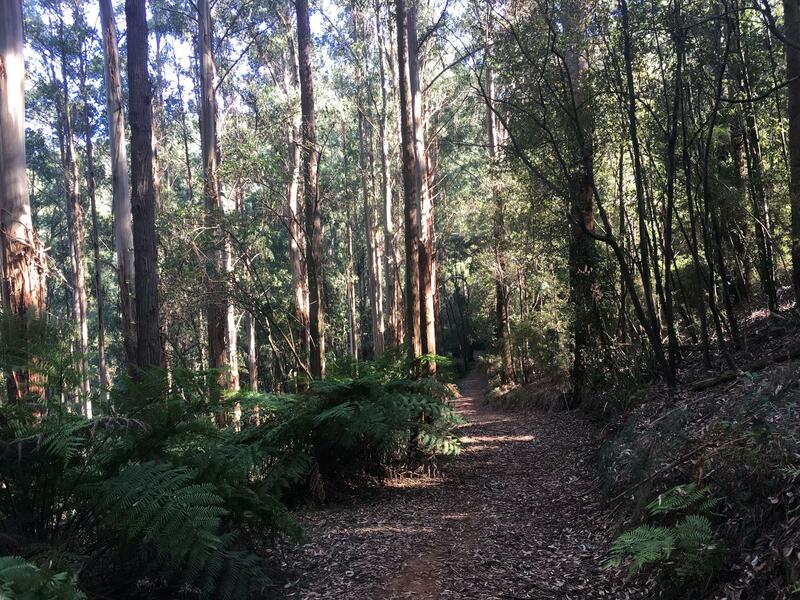 Or you can simply enjoy the natural surroundings of the state forest. 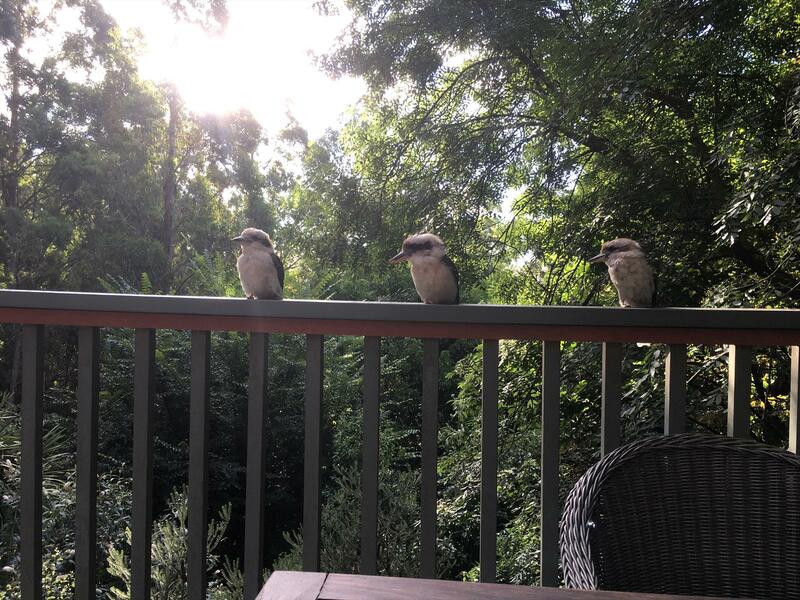 Take walks; feed the Rosellas, King Parrots and cockatoos. There are several superb gardens and walks that we can share with you or you can use the walking maps provided to explore on your own. 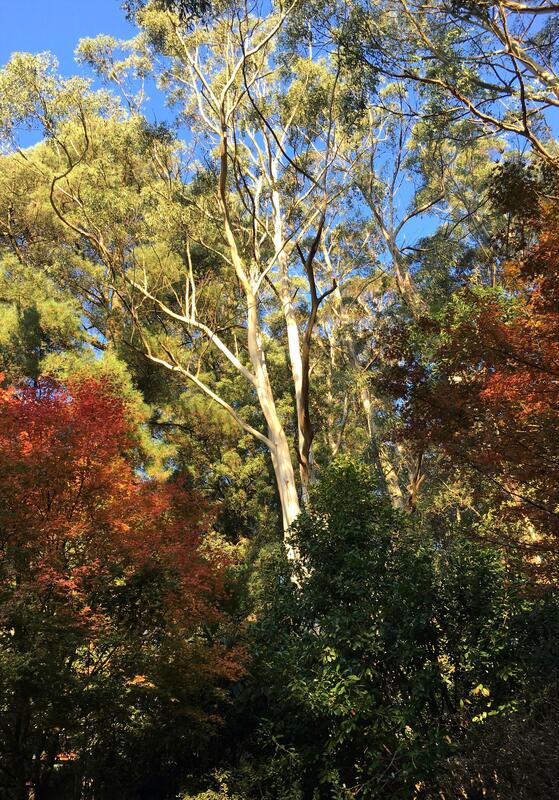 You may be fortunate enough to see wallabies, kangaroos, and lyre birds all in their natural habitat. 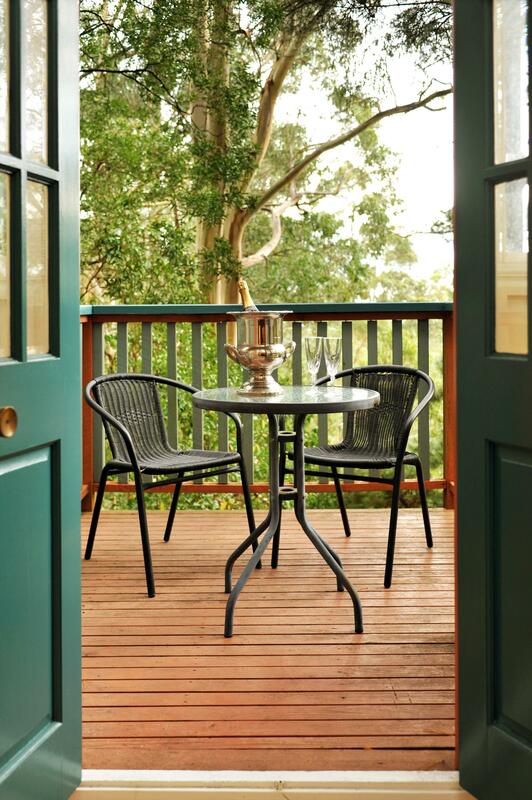 The cottage is key code entry, so there is no need to fuss with keys or check in. On booking you will receive your exclusive key code and you can let yourself in and out of the cottage at your convenience. Once you have checked into the cottage it is your time, and your space. We do not disturb you. 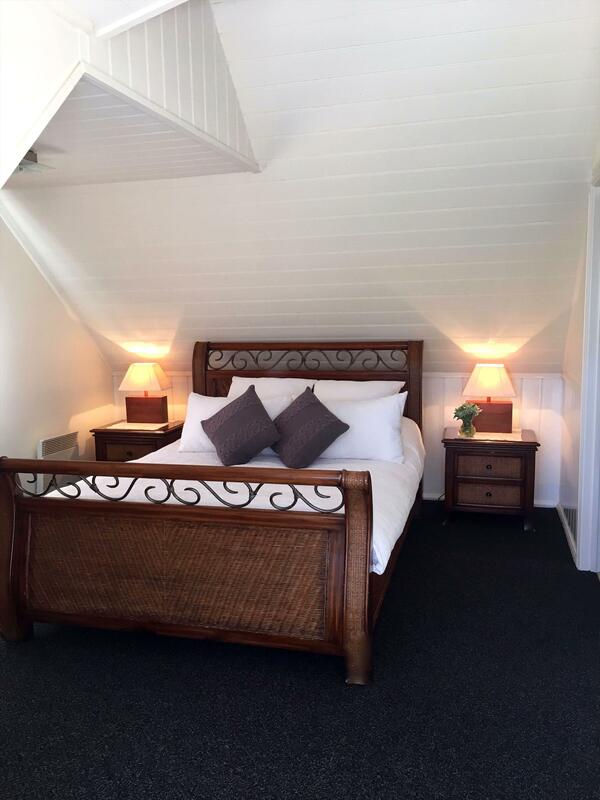 Everything you need for a weekend or a week is in the cottage. Longer says are welcome, please call us to discuss your personal needs. No refunds are available. With a least 2 weeks notice any money paid may be transferred to another date ($75 transfer fee applies). Less than 72 hours notice or failure to show - the full tariff is charged.